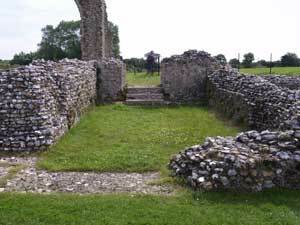 Next to the Chapter House (far left with the remaining column) there is a passageway which runs from the Cloister to the rear of the range, and next to that is the Day Stair (right ). These stairs lead to the Dorter or Domitory, which was the sleeping place of the monks on the first floor above the parlour, warming room and undercroft. 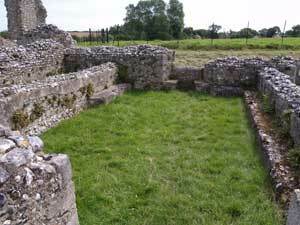 The passageway was known as the Slype, and had a lockable door at both ends as well as a door into the Chapter House. 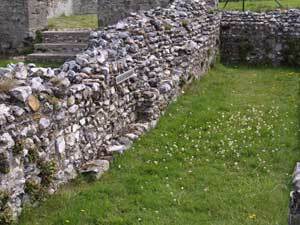 The Monks’ cemetery was probably just north east of this passage, so when a monk died, the funeral service would be held in the Chapter House, and then his body would be borne through the Slype to the cemetery. 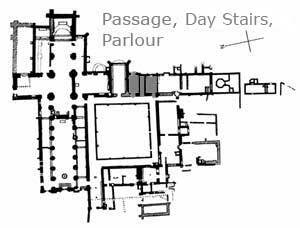 The Parlour (from the French parler meaning ‘to speak’) was a place where the rule of silence was relaxed, so that monks could discuss necessary business. 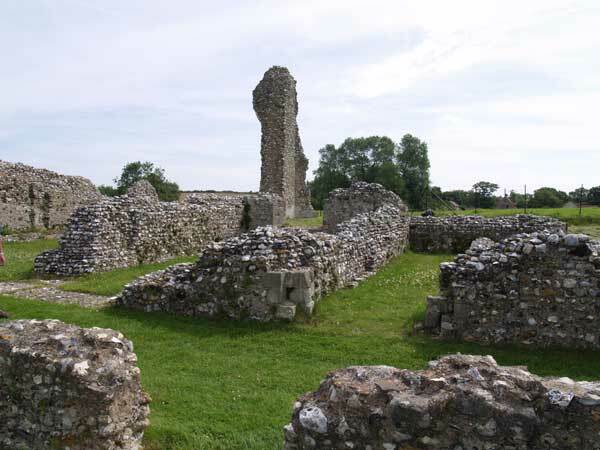 There were stone benches round the sides (see above) and the monks might discuss things before a chapter meeting, plan parts of the day together, or discuss with the cellarer what food would be eaten and what supplies were needed. The negotiations with merchants themselves would not take place here, but in the Outer Parlour.